Affordable Lawn Sprinklers and Lighting is a full-service firm that offers design, installation, and maintenance services. Few companies have invested as much time and money to build capabilities and infrastructure similar to Affordable Lawn Sprinklers and Lighting. This is one of the things that distinguishes us a leader in the Washington area. We have been hometown experts since 2002. 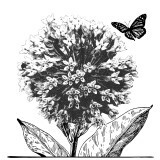 <a rel="nofollow" target="_blank" href="http://www.laurensgardenservice.com">http://www.laurensgardenservice.com</a> A local, eco-friendly landscaping company and native plant nursery. Lauren’s Garden Service is dedicated to creating beautiful outdoor spaces for people to enjoy. We take the hard work out of gardening by doing it for you! In fact, the company was created to offer an environmentally friendly option for garden lovers who just didn’t have time to maintain their own gardens. Lauren’s Garden Service embraces permaculture practices in all aspects of our gardening and landscaping including plant selection, fertilizing and soil enhancement, planting and weeding techniques, as well as other installation and maintenance practices. Call us today to schedule a free estimate, 410-461-2535. 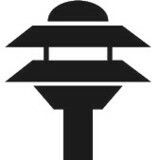 We are a design/build firm specializing in automatic underground irrigation systems and custom landscape lighting systems. 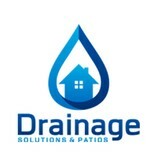 Drainage Solutions is a company with enormous experience. With over 25 years of experience in site construction and landscape work, its owner was superintendent for one the top competing companies in the Washington DC Area. In this position, he was responsible for day-to-day field operations: managing as many as six crews at one time on different projects; materials acquisition; training personnel; and general quality assurance. Our company is family based and within our staff we have great crew members that combined, have over 50 years of experience in this work, as well as in landscape/hardscape work. All of the crew are permanent residents of the area, many with families. Drainage Solutions does not rely on day labor with questionable skills and all crew act as a team. Our crews take great pride in their work and our clients have noted on many occasions that the they are polite and respectful. We are dedicated to growing our business and providing quality and value to clients, recognizing that customer satisfaction is key to repeat business and recommendations to family, friends and associates. At Bio Green of Baltimore we provide the professional lawn and landscape services you need to keep your yard beautiful and healthy. We are your local Bio Green Licensed Service Provider which in addition to ensuring you are getting the best fertilizer on your lawn, means we are committed to not only making your yard look beautiful but making it healthier as well. 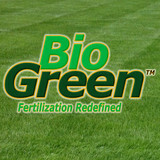 We utilize the patent pending Bio Green natural fertilizer products. These natural fertilizers are non-toxic and designed to feed your turf, trees, shrubs, and flowers as well as stimulate soil activity which builds sustainability. Your lawn and landscape will receive all the nutrients that your turf, garden, and trees need to thrive. Over last winter AgroLawn participated with the 2011 Fertilizer Act which was recently passed by the Maryland General Assembly. We are pleased by the best practices promoted by this legislation and the positive impact it will have on urban horticulture. Properly maintained turf offers many key environmental benefits. Thick, healthy lawns absorb rainwater runoff and help keep soil and other pollutants from reaching stormdrains, local streams and other pathways to the Chesapeake Bay. Sustainability in lawn care means encouraging dense turfgrass growth by applying essential nutrients at recommended rates to minimize material inputs while maximizing environmentally beneficial results. You can be part of the solution of cleaning up the bay by following these important sustainable lawn care practices: Use phosphorus free fertilizers. Monitor nutrient levels with periodic soil testing. Control erosion, thicken turf through aeration with seeding. Mow at 3" or higher with sharp blade. Cut no more than 1/3 of grass blade with each mowing. Recycle grass clippings. Water deeply and irregularly, morning watering is best. We're a family business big on quality and we're taking each customer at a time. Our customers satisfaction is our biggest reward so we are focusing on that. Based in Lorton Virginia Independence Landscape and Lawn Care provides full service landscaping, hardscapes and lawncare to Lorton, Annadale, Woodbridge, Fairfax County, Fairfax Station, Alexandria, Burke, Falls Church, McClean, Manassas, Centreville and Dale City, VA to include but not limited to; Lawn care, Landscaping, Landscape design, Hardscape installation and Drainage solutions. Greener Visions LANDSCAPING has become a household name for providing quality LANDSCAPING and GROUNDS MAINTENANCE at an affordable price. We pride ourselves with doing a great job and making your property look fantastic. FREE ESTIMATES are available on any of our services. Love Your Lawn. We Make It Easy. The biggest difference between Lawn Doctor and other lawn care providers is that we care more; the kind of caring that can only come from being local, and part of the greater community. If you’re looking for a beautiful, healthy lawn that's free of mosquitoes and ticks, we’ve got you covered. Aqua-Bright Irrigation & Illumination is providing quality professional Lawn irrigation systems installation & services, outdoor lighting installation & maintenance services and holiday lighting services throughout the Baltimore and Maryland area. In addition to the maintenance side of gardening, Rosedale, MD gardeners can help you with garden design and choosing specific plants and grass types for your climate and area. Find a Rosedale, MD gardener on Houzz. Narrow your search in the Professionals section of the website to Rosedale, MD gardeners. You can also look through Rosedale, MD photos to find examples of yards that you like, then contact the Maryland contractor who worked on them.